Age 71 of Camden rejoined his wife Barb in the house of the Lord, Saturday March 23, 2019. John was born November 28, 1947 in Middletown, Ohio to the late John and Leona (Porterfield) McGuire. He is survived by daughters, Anita Norris, Missy (Chuck) Moore, Lisa Deeter, and Carla (Deron) Pugh; grandchildren: Brian (Jessica), Amanda, and Jonathan Norris, Austin and Caleb Moore, Cole Branham, Noah Deeter, and Dalton, Colton, and Ashton Pugh; four great grandchildren; siblings; Robert (Debbie) McGuire, James (Augie) McGuire, Judy (Robert) Hamilton, and Nancy Dyer; sisters-in-law, Diane (Adam) Tinch, Brenda (Jerry) Knauer, Martha (Jim) Henson, and Sheila Crider; brothers-in-law, Aaron (Lisa) Isaacs and Larry Isaacs. John was preceded in death by wife of 40 years, Barbara, whom he married on June 12, 1971; sister, Catherine “Sissy” Flaig; son-in-law, Jim Norris; and brother-in-law, Steven Isaacs. 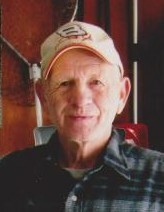 John loved spending time outdoors, and enjoyed watching sports and westerns. The family will receive friends Wednesday, March 27 from 11AM to 12PM at BALES’ FUNERAL HOME, Camden. The funeral service will begin at 12PM with Pastor Fred Schmidt officiating. Burial will follow at Fairmount Cemetery, Camden.